Buffet breakfast, baggage hold, room service, safe deposit box, minibar, hairdryer, air ventilation for air circulation, Satellite TV, wakeup service, free Wi-Fi, Garden area for outdoor relaxation, ski storage. Bikes and snowshoes available ! On request (paid services): breakfast served in your room, floral tributes and surprises (to be agreed at booking) for special occasions. 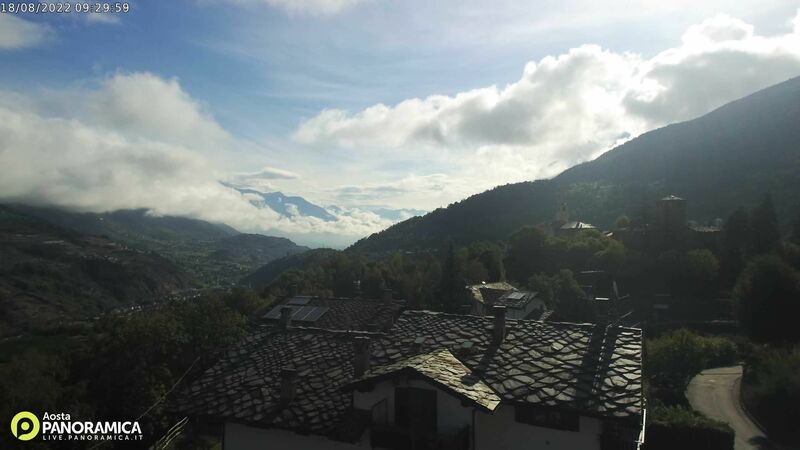 Public parking lot at 20m, grocery at 700m, ATM at 700m, Catholic church, post office and medical centre at 1.5 Km; pharmacies in Arvier or Villeneuve (2.5 Km), outdoor swimming pool in Villeneuve (2.5 Km), Indoor swimming pool in: Aosta (14 Km), Pré-Saint-Didier (21 Km); Health Spa in Pré-Saint-Didier (21 Km); Regional Hospital in Aosta (14 Km).